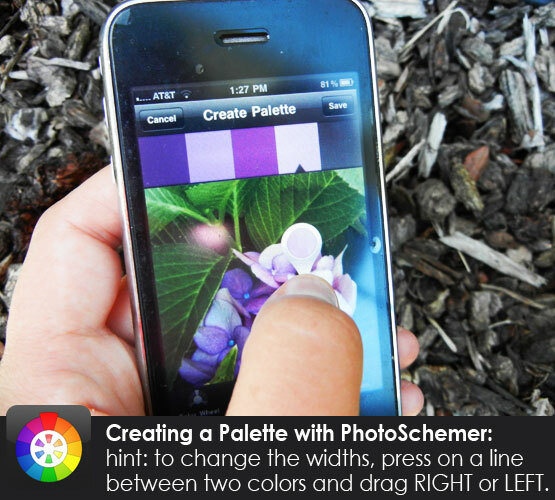 A few months ago, we released ColorSchemer Touch, the official COLOURlovers iPhone app, on the Apple App Store. We spent a lot of time making it super-simple to create palettes, sync creations with your COLOURlovers account, and take the incredible COLOURlovers community with you wherever you go. And thousands of downloads later, we've been blown away by the positive response we've received from everyone who's used it so far. But that's still not enough! We want everyone - even people that have never visited COLOURlovers before - to see how easy it is to share their colorful ideas and inspirations from a coffee shop, a car, or even a hiking trail in the middle of nature. 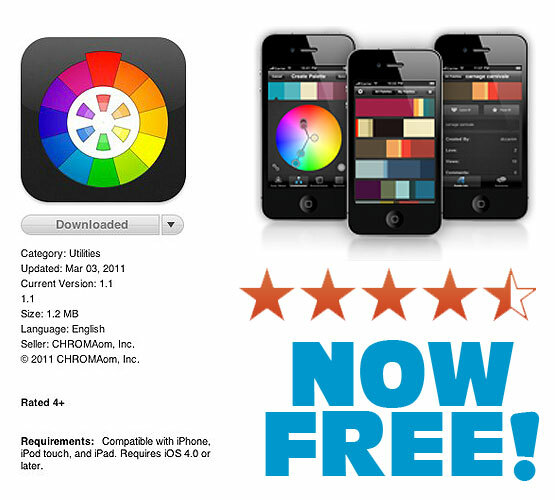 That's why starting today, the ColorSchemer iPhone app is now FREE in the App Store! So what are you waiting for? Download it today to see why thousands of other COLOURlovers think it's the best way to browse, comment, Love, Fave and interact with the COLOURlovers community at home and on the go. Getting Started: Create a Palette in a Snap! 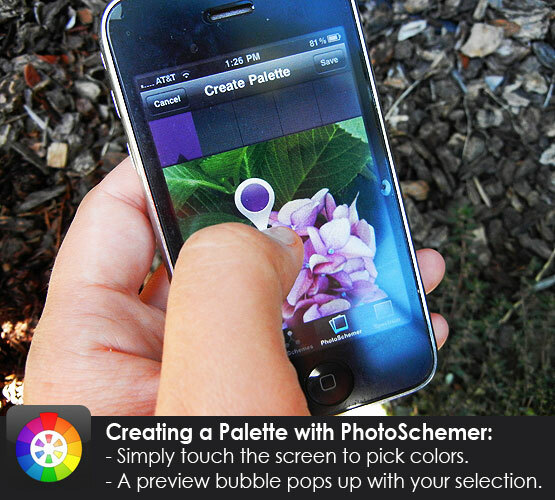 One of my favorite features is the PhotoSchemer tool within the ColorSchemer App. 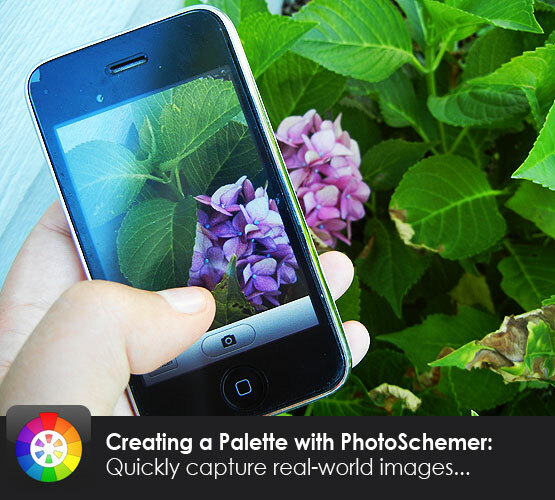 Take a picture (or use one from your image library) and start picking colors for a palette. Super fast! This is addicting so watch out!! You may have seen palettes with varied widths. Easy. Simply press between two colors and drag the widths RIGHT or LEFT. I certainly find more time to spend on COLOURlovers and more uses (like making palettes from my every day life)... which feeds my creative need. Enjoy! Will this be the android market soon? Did you miss this note? : "(And we haven't forgot about you Android users. We're talking with and looking for a great developer to port the app over. If you know somebody we should be talking to, let us know.)" Aww, I just paid for it a month ago. Thank you. I noticed sales from beautiful, smart women were up last month. How about an iPad app as well? Because of it's richness in visuals it would be awesome to have palletes in HD! hmm, now i REALLY need an iphone! I just used it, it supurb! And it is only for palettes! But i still love it! Any update on a Android Tablet app?